Every time Father’s Day comes around, I struggle to think of the perfect non-cliche gift for dad. After years of getting him gifts that end up being left by the wayside, I quickly realised that nothing could replace the gift of quality bonding time and long-lasting memories. Father’s Day is now our excuse to pack our bags and explore the motherland and we’re so lucky that there are plenty of beautiful Australian destinations that are only a stone’s-throw or road trip away. Berry is located along the South Coast of NSW. 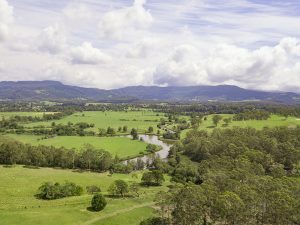 This tranquil country getaway is great for the laid-back dads that want to relax among scenic landscapes, historic heritage buildings and fresh produce markets. 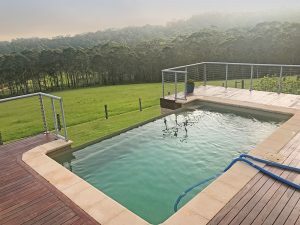 To make most of your stay in Berry, there are plenty of affordable Airbnb houses hidden quietly within private estates and we found one that was equipped with everything dad could ask for – campfire pit, barbeque, pool – the works! Berry Country Market: This area is well-known for their Berry Country Market which takes place on the first Sunday of every month – falling perfectly on Father’s Day. Grab yourself some fresh produce and cook up a nice Father’s Day lunch or dinner. Local Cafes and Restaurants: If cooking isn’t your thing, many of the eateries around the area are locally owned with fresh farm-to-table menus so you won’t run out of delicious food options. I highly recommend Berry Sourdough Bakery & Cafe (or at least grabbing a morning croissant from there!) and make a quick pit-stop at the Berry Donut Van for a famous, steamy, fresh-from-the-oven cinnamon donut! Seven Mile Beach: It might be a bit chilly for a dip at the pristine Seven Mile Beach but dad can still enjoy the water from the Beach Road Picnic Area right next to the sand. Food Tours: If dad is a foodie you can join a private or public group food tour with Foodscape Tours and meet the growers, producers and behind-the-scenes team of the gourmet food and wine in the area. There are plenty of award-winning wineries to win dad over! If dad is a bit of a wine connoisseur then Australia’s oldest wine region is a must. 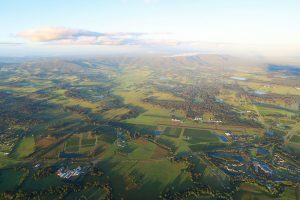 Hunter Valley is an indulgent escape filled with premium fine wine, gourmet food and picturesque vineyards. Wine Tours & Tastings: Hunter Valley offers so many great private and group wine tours but a friendly and enthusiastic tour guide really makes all the difference! We had a fantastic evening of visiting the very best cellar doors and eating the smelliest and tastiest of cheeses with Two Fat Blokes and can’t recommend them enough. Hot Air Balloon Ride: Even if dad isn’t an early riser, make sure he gets up for a sunrise Hot Air Balloon flight with Balloon Aloft. I highly recommend booking the Bubbly Breakfast with Restaurant Cuvee at Peterson’s House, their vanilla pancakes are out of this world and what’s better than a plate of pancakes and bubbly on a cold winter’s morning? 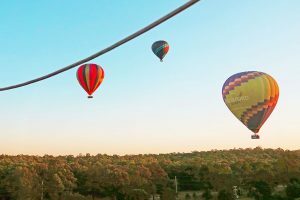 The balloon flight itself will have you soaring over the vineyards and morning fleet of kangaroos. Golf: If dad is a serious golfer, he’ll have a great time at the 18-hole championship golf grounds of Cypress Lakes Golf & Country Club or you can just enjoy a fun game of aqua golf with Golf to the Max. Three hours north of Sydney is the gem that is Port Stephens. 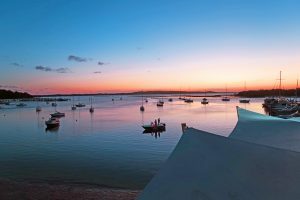 The list of things to see and do in Port Stephens could really go on and on. The activities range from relaxing zoo visits to dolphin watching and water sports such as scuba diving and paddle boarding. Somehow, I’ve managed to narrow it down to these top three things I’ve done with dad. 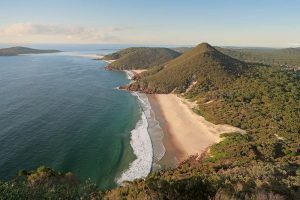 Mount Tomaree: This short 1km hike takes you to the top of Mount Tomaree where a panoramic view of Zenith Beach awaits. Although the hike is relatively short, I recommend wearing some sturdy shoes and prepare yourself for a bit of an incline to get to the top. It’ll be worth it in the end! 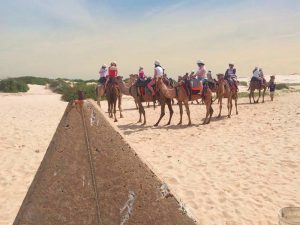 Camel Riding: If you want to try something a bit out of the ordinary, take dad for a camel ride on Stockton Beach with Oakfield Ranch Camel Rides. The best time of the day to enjoy these rides is during sunset and grab the first two camels if you can for an undisturbed view. Quad Biking in th Sand Dunes: Dad would probably agree that this was our favourite activity in Port Stephens. We booked in a quad-biking adventure with Sand Dune Adventures and the 1.5 Hour Quad Tour also included an aboriginal culture performance and sand boarding. Unfortunately during the sand boarding, dad lost his phone but he was totally unphased because of the amount of laughs we shared boarding down the dunes. A few hours later, I received a call from a kind stranger that found the phone in the sand and we met up at the closest servo to grab the phone. It can’t get more Australian than that! So hopefully by now you have your mind set on exploring Australia and it’s surrounds this Father’s Day. Ditch the socks and ties, dad deserves better than that! Enjoy your Father’s Day and the new found memories you’ll make with dad. 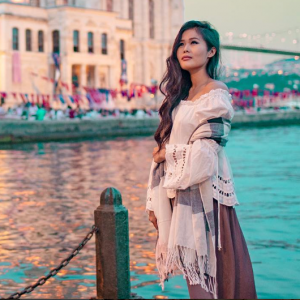 Annie Nguyen, better known as @anniesbucketlist on Instagram, is an Australian based Travel Influencer and Hotel Reviewer from wheretoflynext.com. Together with her travel partner and fiance @willsbucketlist, they travel to the most photo-worthy destinations and discover the best tours and activities to curate travel content to inspire us all on our next adventure.